You’ve made a decision that you know is right: after thinking through pros and cons, and examining your options, you’ve decided it’s time to leave your job. Once you’ve decided it’s time to leave, it’s time to prepare for that inevitable question from your next potential employer: why did you leave your previous job? When you answer that question, for a start, it’s important not to dwell too much on the past when you answer the question. State your reason, then focus on the positive and the future, looking forward to what you want in a new opportunity, rather than getting lost in reasons why your last job didn’t work out. Your gut tells you it’s time to move on. 1. You want or are offered a better deal. It’s always acceptable to want to move for better conditions, whether that’s a higher salary, better benefits, or an increase in career or growth opportunities. If it’s clear that you don’t have these opportunities in your current role, it makes sense leave and potential new employers will understand that you’re looking for growth and better conditions. 2. Other goals have become a priority for you. Maybe you need more work life balance to be able to take care of a family member or a new baby. Or perhaps you want to go back to school to further your career and need extra time to do so. Leaving a job to pursue other goals other than within your current career path is always a worthy reason to leave. Your personal and professional growth is important. 3. A manager has left. 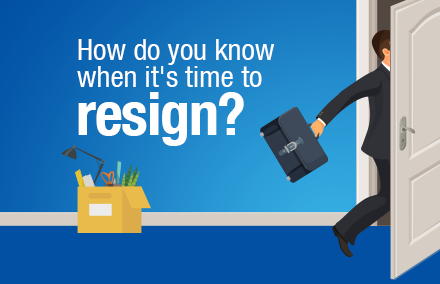 It’s not uncommon for team members to leave after a manager has moved on, especially if a new boss comes in with a vision that goes against your beliefs of how the job should be done. Whether you leave because you see it as a sign that it’s time for you to go as well, or because you don’t believe you can work through your differences with a new manager, this is a reason to leave. 4. You have outgrown your current position, with no sign of advancing. Overqualified. 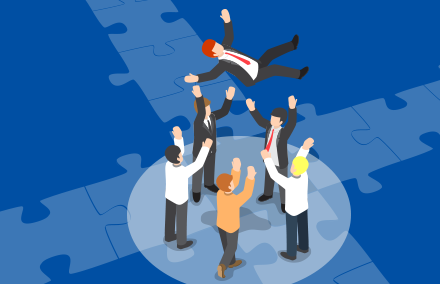 Some people will accept a position knowing that they are overqualified for the role, simply because they need a job or like the benefits that come with the company. Other times, through experience and lessons learned, you become overqualified. Either way, eventually, working on projects and tasks beneath your qualifications can become dull. Your potential new employer will recognise the fact that you are looking for more of a challenge, and will appreciate it. 5. You wanted to start your own business. Starting your own business shows initiative, drive, and real business acumen. Perhaps you have now sold the company, or maybe your venture wasn’t as successful as you had hoped, but your new potential employer should recognise the determination it takes to try to start your own company. 6. Salary increments are not very likely. While a salary isn’t everything in a job, it can be a major part of leaving a company. If your current boss ignores your questions concerning a pay rise, or there is no option for a salary increase in the future, looking elsewhere for more financial incentives is completely understandable. 7. You are burnt out. If you start to feel like you ‘hate’ everything about your job, it’s possible you are completely burnt out. It may be the office politics, the workload, the stress levels, or something else, but if you get to this stage, it can be better for you and your company to start afresh somewhere new. 8. Location: either you or your company has changed. If you suddenly find yourself living a long way from work, you may wish to move to a new company that offers a shorter or easier commute every day. 9. Your current company is restructuring and threatening layoffs. Finding a new job is always exciting, but that excitement can turn to anxiety and concern if the company begins the layoff process in your department. If this happens to you, looking for a more secure position is warranted. 10. You were laid off or fired. If you were fired from your last position, be honest about that fact. If you truly made a mistake that led to that decision, be clear with your potential new employer that you have learned from your mistake and show them how you plan to never repeat it. If you were laid off for circumstances beyond your control, such as a company restructuring, or downsizing, be honest and open about that as well. The above-listed reasons are all legitimate reasons for why you would have left or would want to leave your previous role. Now, it’s time to move forward and look towards the next opportunity. Find more job search advice here on writing a great CV, killing it in an interview, and preparing the best references you can.